The Adventure of a Brownie. Chicago: Whitman Publishing, Co., n.d. (ca.1921). ￥28,000 (税込み) 21.7 x 16.5 cm. 203, (1), (4ads.) 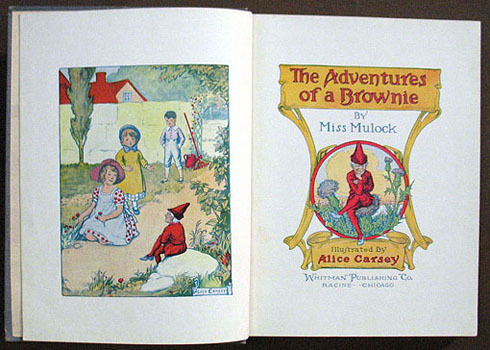 pp., with 15 color plates and many black and white full-page illustrations. Full blue-gray cloth, color paper label affixed to frontcover, spine stamped in black, previous owner's inscription on front endpaper. First edition was published in 1872.